Several financial advisors will share principles that help prioritize your objectives. Start saving money and attempt to meet your goals. Both can happen hand in hand; takes a little bit of effort and meticulous planning. You might have come across many couples that have comparable incomes but have varied spending patterns. So, know where you are headed. Chalk out a clear route in your mind and maintain good spending and investment discipline. Several financial advisors will share principles that help prioritize your objectives. Start saving money and attempt to meet your goals. Both can happen hand in hand; takes a little bit of effort and meticulous planning. Priorities change with age; revisit your goals and align them with your current needs. Below are some ways toward achieve how you can plan your way to a financially restful retirement. 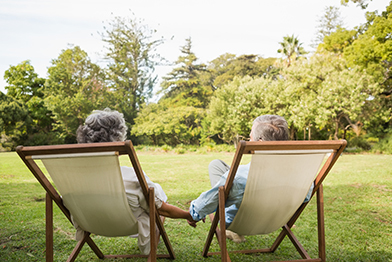 At this age, you are probably carefree; however, as responsibilities kick in, most of us realize the importance of working toward an easy post-retirement life. So avoid taking huge debt; if you wish to avail an education loan, try and get the best interest rates and apply for scholarships. This will help you a lot in the long run. Borrowing should be the last resort. Focus on preparing a future for your children and work toward creating a debt-free retirement life. Certain decisions need to be made and implemented here. For example, ensure there is sufficient insurance protection; build an emergency fund that covers at least a year of your income and buy a home either through a home loan or a corpus for house purchase. It is not wise to retire while your home loan remains unpaid. At this age, you will have had sufficient knowledge and experience to know how rash decisions can lead you to certain courses. You should have probably begun on an alternative income generating venture to for your post-retirement activity. You also have a choice on either building a bigger retirement corpus or financing your children’s higher education. Consider your retirement kitty and split it to cater to your monthly expenses as well as investments. Redistribute your investment assets to the less volatile debt instruments and stay less invested in equities.